Some naysayers way back in the 1990s predicted that online shopping wouldn’t last. Sure, and they said television was a passing fad, too! As we all know, just the opposite has occurred. There’s a television in every household, and more than likely, the homeowner bought their television online?along with his books, music CDs, clothes, and maybe even his home. 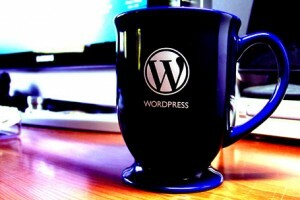 One of the reasons people love WordPress so much is its great flexibility. You can change the software’s appearance with themes. You can enhance its functionality with plug-ins. And, last but not least, you can totally unleash WordPress’ power with hacks. Some time ago, we wrote a post showing10 Killer WordPress Hacks. Today, let’s do it again with 10 new and totally killer WordPress hacks to make your blog stand out from the crowd. As usual, we won’t just list the hacks alone. In each entry, you’ll find an explanation of the code as well as the kinds of problems that the hack solves. Article marketing is currently one of the most popular online marketing techniques in use today to attract traffic, publicise websites and gain backlinks. Article marketing is recognised as an effective way to drive qualified traffic to a website that will result in increased conversion and sales. Magento is becoming the future of eCommerce platforms. It came in on the 31st of March 2008 by surprise. At first release most people hadn’t heard of it, but after not long it got swamped with publicity. With it now been out for little over a year, there is no doubt it has made some immense progress. The first thing I think it is worth mentioning is BUGS! After watching the magento Issue Roadmap for the last 6 months its amazing how many bugs have been found. That may not sound too positive but with the rate they are fixing them, I think it will only be a matter of time before its bombproof. The second thing is that Magento was clearly developed from a commercial perspective. Magento has a unique back end unlike any others, with features far beyond any others. There has been many BIG online shopping stores swap platform in the recent months. So now for my opinion on the eCommerce hosting situation with Magento. Well as far as page-load times go, Magneto as a whole is OK! I think it is missing some core optimization, from what I have seen within the files there is far too much code. I know it may sound silly, but when running over 100,000 lines of code the only real thing you can do is have less. But with that said, it will only be a matter of time. Once all the bugs are ironed out and features implemented the only thing left to do is optimize. At Kezoon.com we are working with Magento to try and find the best environment to run it around. The next point I think that needs mentioning is the templates. As of now Magento is still lacking templates, not that its not possible or incredibly specialist but just not enough. TemplateMonster have started offering quite a few nice templates but the price is not very righteous. For a standard template the pricing is coming to around $250 what will one day come down. The problem with the templates from TemplateMonster is the unique price! When starting or even running a online store there is no doubt a store needs a UNIQUE feel. A store needs an identity, whether it be by a color palette or a array of images. The price for a unique template from TemplateMonster is something like $2000 what seems ridiculous! But it is just a case of weighing up if it would be worth it or not. Find more about magento hosting here at Kezoon! 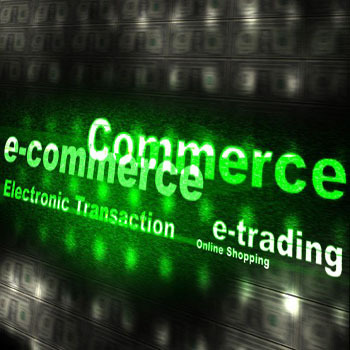 We are here to provide easy free eCommerce solutions for business’s or individuals! Read crucial points of view in the sphere of Free Traffic System – your personal guide. Information Technology has brought a revolution to our lives. New technologies and advanced hardware is continuously changing the way we work and conduct our daily business. Internet and mobile revolution has transformed this world into a Global Village. We at AI have realized the enormous potential that IT offers. We have realized that Companies are facing difficulty to keep up with this ever-changing world of IT. Hiring, training and then retaining expensive IT staff have become a huge financial burden. We strongly believe that outsourcing the right projects can help companies cut their IT budget significantly without compromising the quality. AI believes in providing a structured and disciplined environment to all its employees to work together towards the goal of developing products and services that optimally fulfill the customers? expectations. At ?AI? we labor over understanding your needs, your goals, and your parameters, so we can help you realize them. It is easy to ask 20 questions, but what really matters is to ask the right questions about one?s trade show goals, the target audience, one?s competitors and one?s image in the industry. Most importantly, we apprehends deeply and truly absorb one?s replies, to dissect exactly what?s being said and finally getting to the “meet” of one?s needs, desires, and requirements. As your partner, once we’ve assessed and ensured, we thoroughly understand your trade-show/exhibit needs and goals, we can begin to create a remarkable solution that’s sure to successfully communicate your brand, make an impact, and more effectively market your product(s) or service(s). Armed with a clear understanding of your needs and goals, ?AI? creates exhibit solution that is just right for you. ?AI? solutions breath away from cookie cutter style exhibits works but creates a solution which enhances the persona of your product. Our experienced design team interprets your objectives into a unique solution based on your specific needs. When it comes to designing, we think “outside the booth”. Our dedicated design team is specialized in dynamic designs. The quality policy at AI revolves around improvement in the quality of teamwork, policy implementation, and quality in routine work. Ai has an excellent pool of experienced IT experts. We can handle any type of project, from simple web page design to complex E-commerce applications. Think of us as your one stop IT outsourcing partners. We emphasis on Qualty of service, customer communication and understanding client needs. ?AI? is the only company, offering turnkey solution for your exhibition needs, from design to dismantle, under one roof. We will be glad to answer any queries. Moreover we will be happy to fullfil any official requirements (Registration etc). Grab timely hints about Free Traffic System – this is your own knowledge base. Selling and buying is an integral part of everyday life. Its existence is as old as human in different formats. After entering into internet world, where people prefer everything online, E-commerce is touted as one of the most viable online business opportunities on the Web today. In comparison to traditional brick and mortar businesses, e-commerce site requires minimal start-up cost and with relatively low-risk. However that does not imply creating an e-commerce site is a simple process; neither does it guarantee your future success. Since it had become an integral part of our nature, every time anyone looks for an ecommerce application they have to start from scratch and needs to redo all the work by just viewing any online ecommerce website and thus ecommerce development becomes a typical job as the progress was not being distributed among the developers. Especially after the occurrence of open source technologies need of a centralized ecommerce application become mandatory. Keeping this in mind few organizations/groups started developing. Now in the market there are many build-in ecommerce applications, oscommerce, Zen cart, Xcart are few very popular build-in ecommerce applications. Build-in applications are very popular and you get a basic structure with all the required functionalities of an ecommerce application which you can customize accordingly to make it work for you. Some of them are free while few are paid. At this stage it has become hard to select any application to start your ecommerce business, below are few tips which may help you to select the best possible application. Easy Setup of store and availability of contributions and forums: Set up of a store should not be a struggle for you. A good wizard having effusive operational facilities will help you to set up your store in minutes. Since stores are based on a general requirement, you have to modify it to suit your requirements, availability of free contributions, forums may help you to get the work done quickly and efficiently. Data Management: Every online store needs their data to be imported and exported. This facility helps in smooth product management and effortless migration in case we plan to change the hosting service provider. Web Analytics: One of the key to the success of e-business is the web analytics. This will help you to understand the business scope and measure your failure rate.